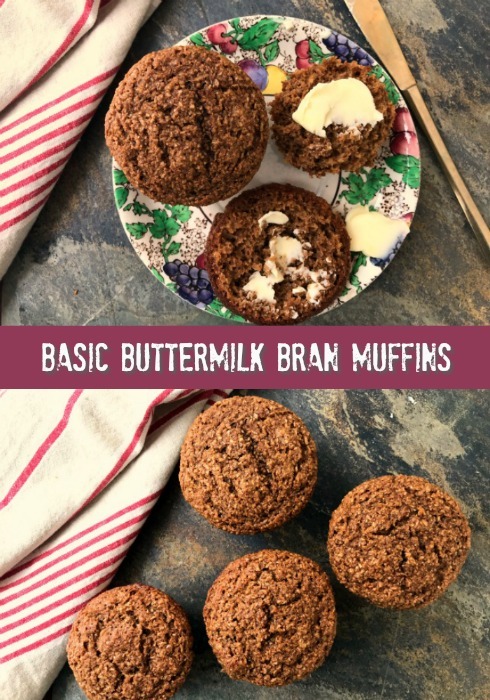 Basic Buttermilk Bran Muffins are wholesome and just sweet enough. High in iron and fibre. January is hard. After all of the food, fun and free time in December the back-to-reality of it all hits me right between the eyes. 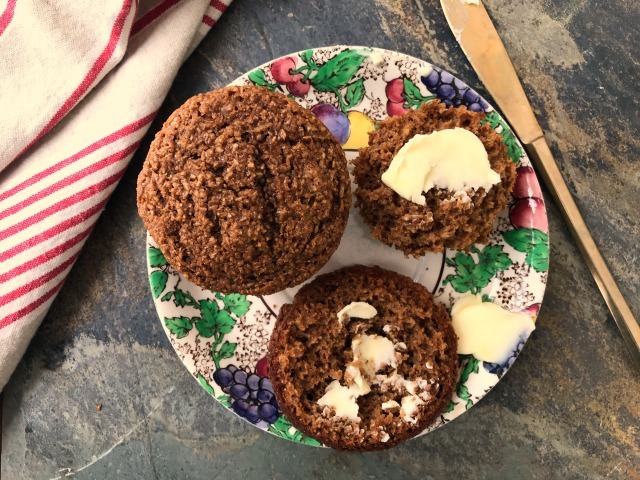 Believe it or not, these basic buttermilk bran muffins have helped me get back into a routine and have fueled me through the day this first full week back to work. 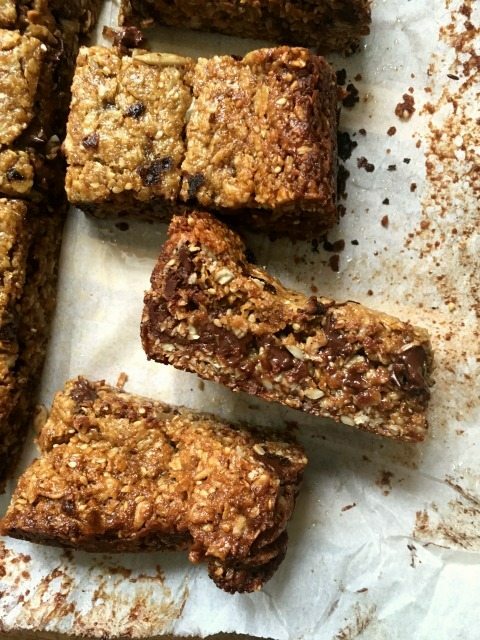 Filling, nourishing and just sweet enough, they have been the perfect mid-morning and afternoon snack. At the office I eat them plain but at home I cut them in half and slather them with butter or peanut butter. Sometimes I’ll add some sliced banana. They have been in a tin on the counter all week and are still moist and delicious. 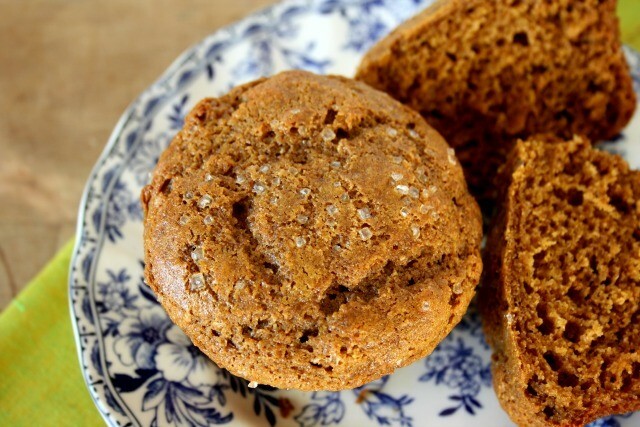 That’s what I love about molasses muffins – they stay fresh. 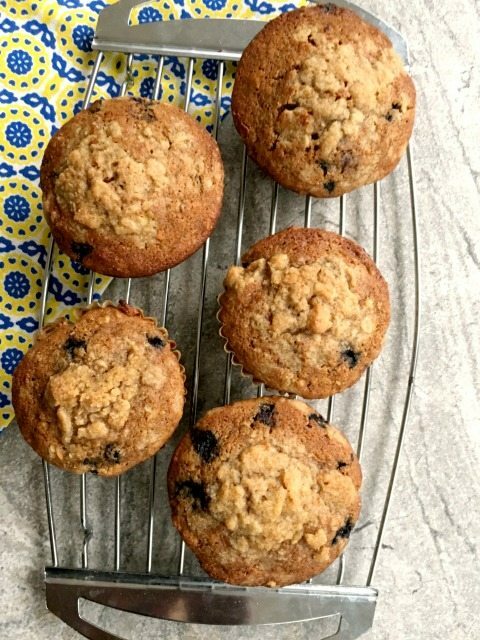 The original recipe called for 2/3 cup raisins but I prefer my bran muffins plain. If you’d like to add raisins you can mix them in with the dry ingredients. Slightly adapted from the lovely blog, The Cafe Sucre Farine. Their recipes are always delicious and dependable. Preheat oven to 400 F and prepare muffin tins. In a large bowl whisk together oil, sugar and eggs. Stir in molasses, buttermilk and vanilla. In another bowl whisk the bran, flours, baking powder, baking soda and salt. Bake for 12-15 minutes until top springs back when lightly touched. These will last in a tin on the counter for a week. Freeze up to three months. Pumpkin Banana Bread combines all that I love about pumpkin and banana bread. It is lightly spiced, not too sweet, and has the loveliest texture. When I was little my mom had a recipe for what she called “Friendship Bread”. I think it was made from some sort of sourdough starter that a friend gave her, along with the recipe. If you’re familiar with sourdough starters you know that it’s a bit like someone giving you a puppy. You’ll be so thrilled to have it, but it does take care and feeding. What I love about the idea of friendship bread is the sharing. 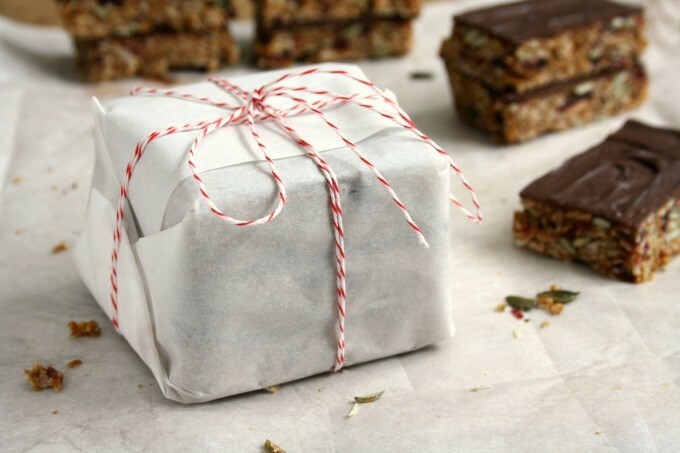 It really is a wonderful thing to give freshly baked treats away. and to receive these special packages is such a gift too. 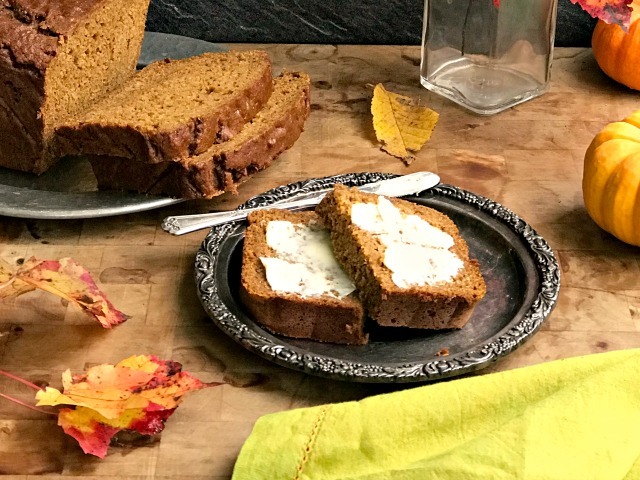 This pumpkin banana bread recipe is just the loaf for sharing. 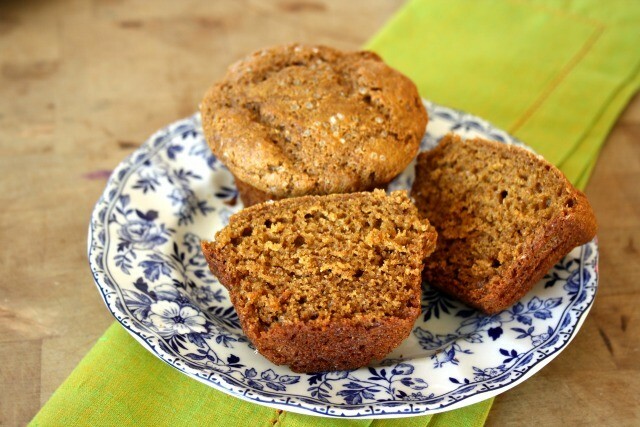 It combines everything I love about both pumpkin and banana bread, and it isn’t too banana-y or too pumpkin-y. It is lightly spiced and not too sweet, plus it has the loveliest texture. 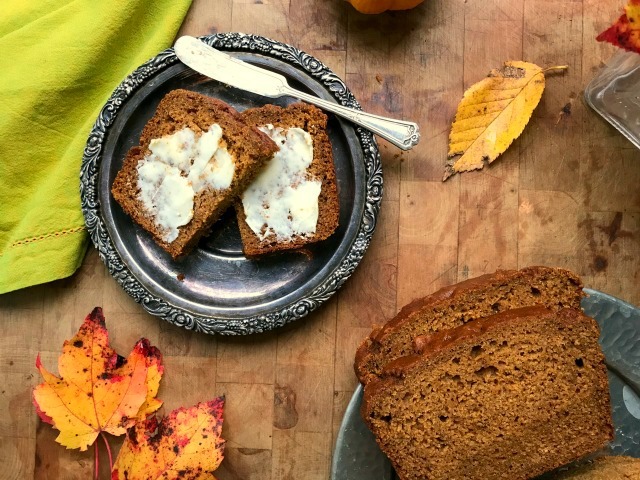 This pumpkin banana bread recipe makes one giant loaf. And I mean giant. You may want to bake it in two pans so you can either freeze one loaf or give one away. If you choose two smaller pans start checking for doneness at the 25 minute mark. It shouldn’t take more than 35 minutes for the smaller loaves to bake. This recipe has been slightly adapted from All Recipes. Line a 9”x 5” bread pan with parchment paper or grease it well. In a large bowl whisk together the banana, eggs, oil, pumpkin, molasses, honey and vanilla. In another bowl whisk together the flour, baking soda and baking powder, salt and spices. Sprinkle the flour mixture over the pumpkin mixture and stir gently until just combined. Remove from heat when you tap the top of the loaf and feel little give, or when a tester inserted into the middle of the loaf comes out clean. Cool in pan 10 minutes then remove to a wire rack to finish cooling. Cool completely before cutting. *Lay parchment paper over the top of the bread during the last 15 minutes of cooking. 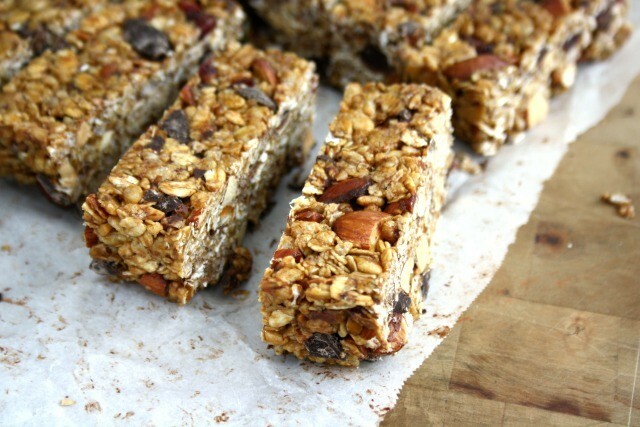 These are like old fashioned granola bars. 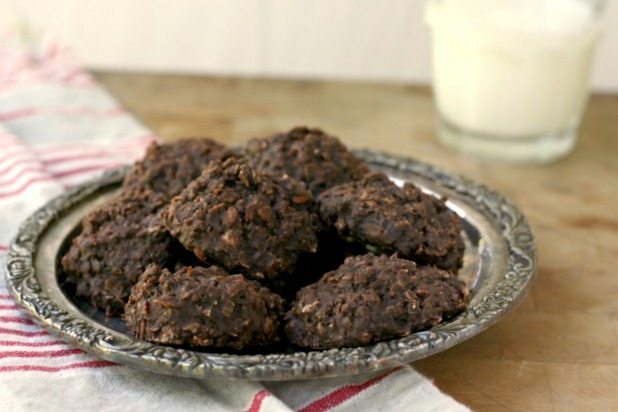 They’re sweet like cookies and loaded with healthy ingredients. 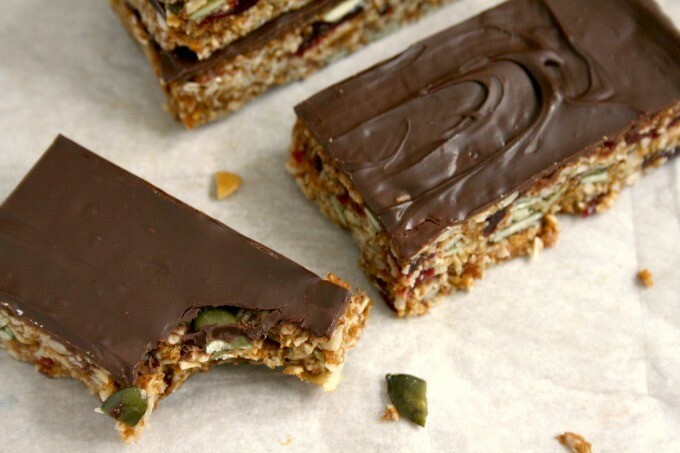 They’re the kind of energy bars that you want to pack for a day on the ski hill, which is where we enjoyed them. 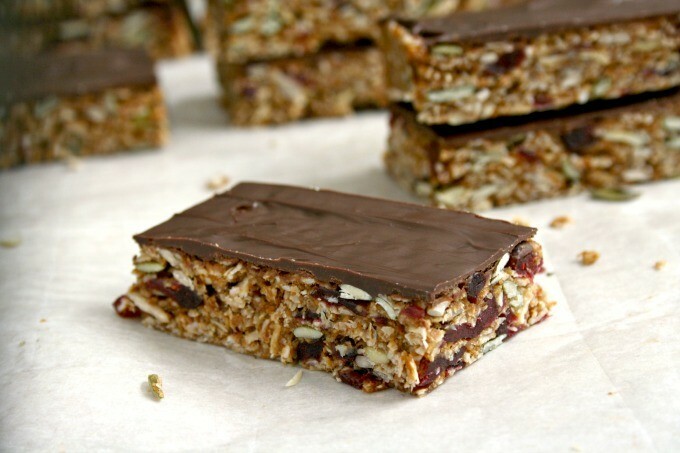 I made the energy bars for our March Break trip to Quebec City, which included a day of downhill skiing. When we came in off the hill at lunchtime and the end of the day these energy bars were the first thing my son and I went for. Filling and satisfying, they hit the spot. 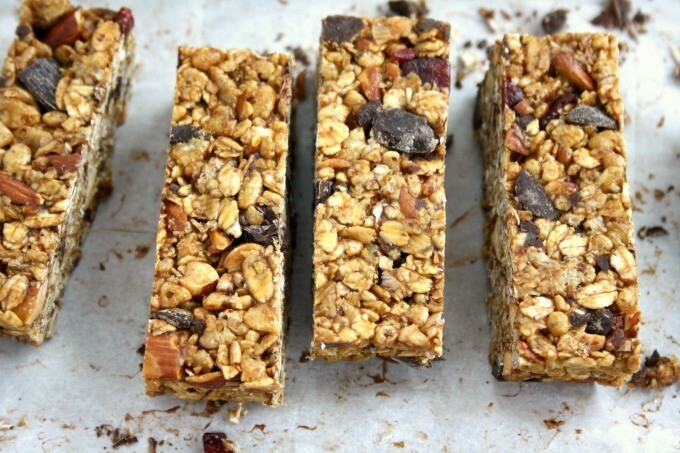 If you like to spend active days in the outdoors energy-filled snacks help keep you going. 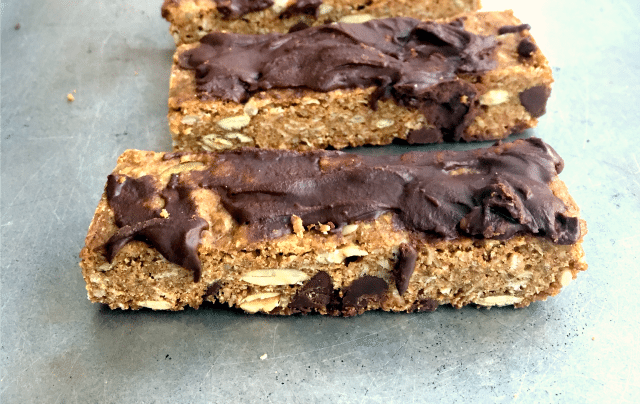 School-friendly option: They also make a great after school snack and can be made with sunflower seed butter if you want to make them school-friendly. These are very filling — one is enough! Preheat oven to 350 F and line a 9”x 9” metal pan with parchment paper. In a large bowl cream butter, peanut butter, brown sugar and vanilla. Beat in molasses and honey. Using a wooden spoon, mix in remaining ingredients. Press into prepared pan, pressing down firmly. Bake at 350 F for 35-40 minutes, until golden. Cool in pan and cut when still slightly warm. Tip: To speed up the toasting process, sprinkle the sunflower and sesame seeds on a cookie sheet and place in the oven while it preheats. Toast for about five minutes then add the coconut. Toast for another 4-5 minutes. 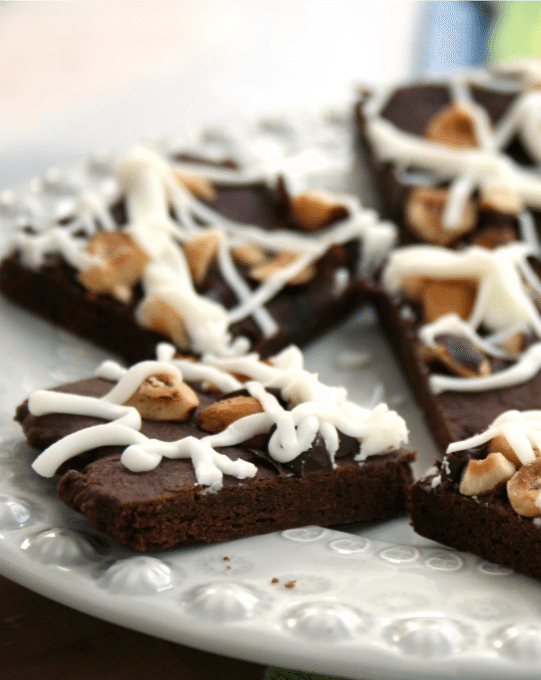 Cooking and baking with 100% natural sweeteners is easier than you think. 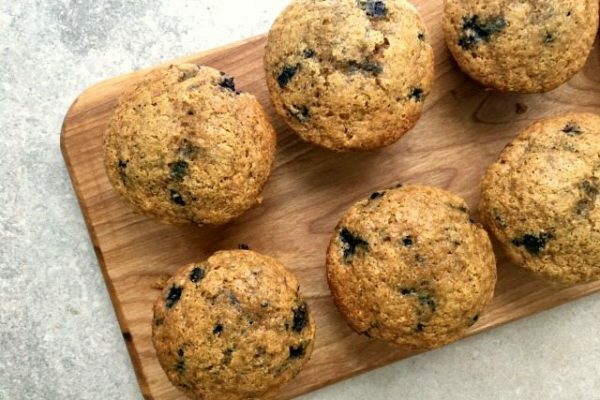 Make your own refined sugar free snacks: From warming drinks to wholesome muffins, cookies and healthful energy bites, going (white) sugar-free in your kitchen is deliciously doable. 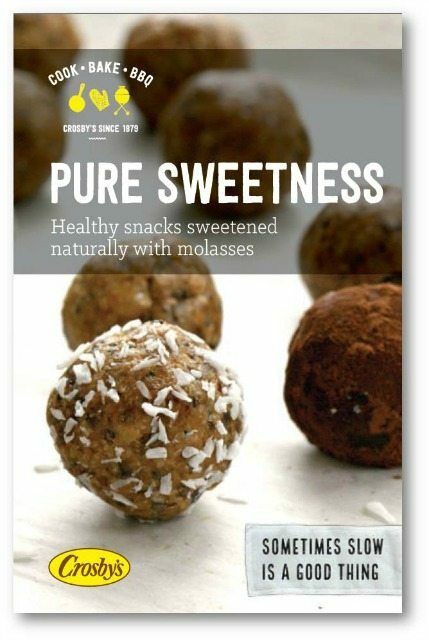 Molasses is lower in sugar and carbs than white sugar, plus it adds flavour, some nutrients and a wholesome kind of sweetness to your recipes. Fancy molasses is made from the pure juice of sugarcane that’s inverted into a syrup (not unlike the maple syrup making process). 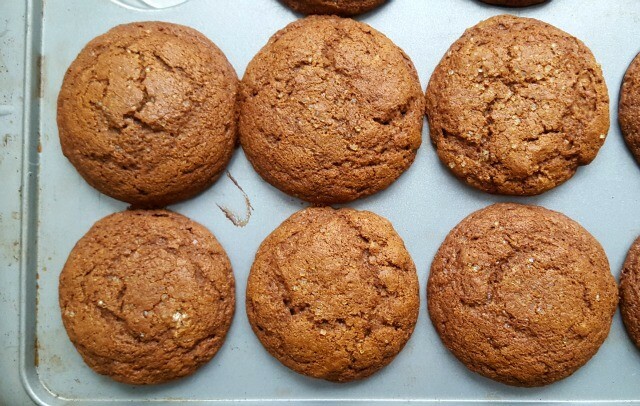 Fancy molasses isn’t a by-product of the refined sugar making process. It is simply pure sugarcane juice that is inverted into a syrup. 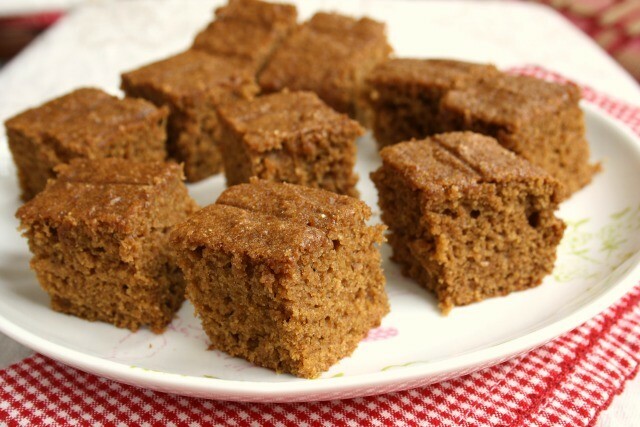 Fancy molasses can be used in place of, or in conjunction with, other natural sweeteners. Do you have favourite recipes that call for honey, maple syrup or agave? 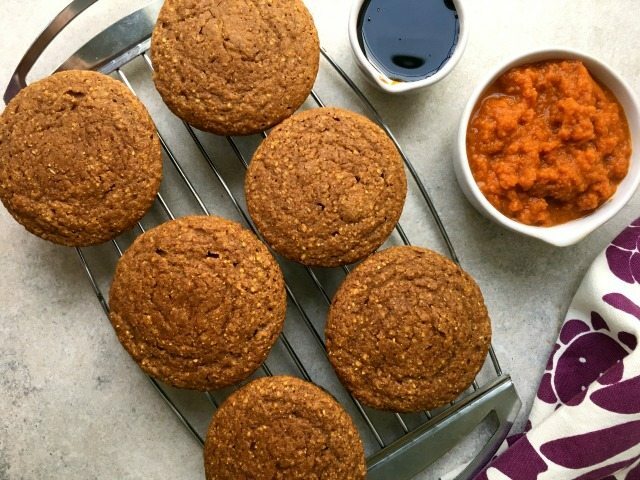 Try substituting molasses for half of that sweetener and see where the flavour takes you. 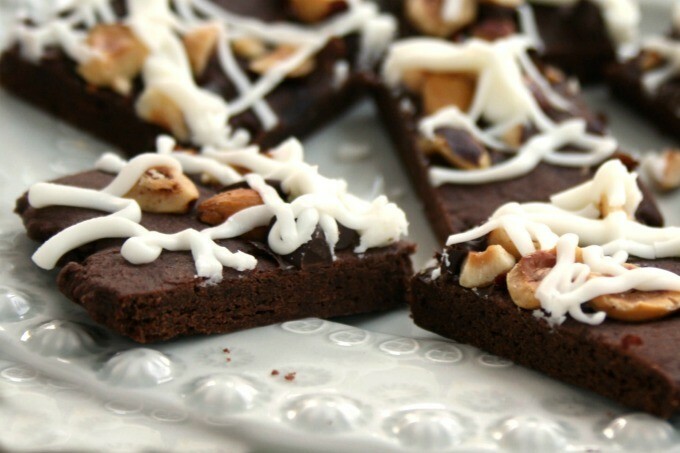 You’ll find that molasses is especially well-suited to chocolate and spices. Not just for sweet recipes. 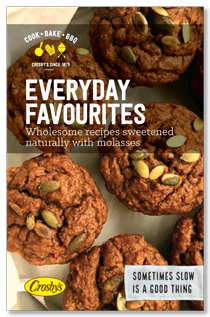 Molasses is versatile – use it instead of sugar in savoury dishes like sauces, dressings and marinades. Eating well starts with wholesome ingredients. In this free eBook you’ll see how being selective about the sweeteners you choose will help you create food that is better for you and those you choose to share it with. 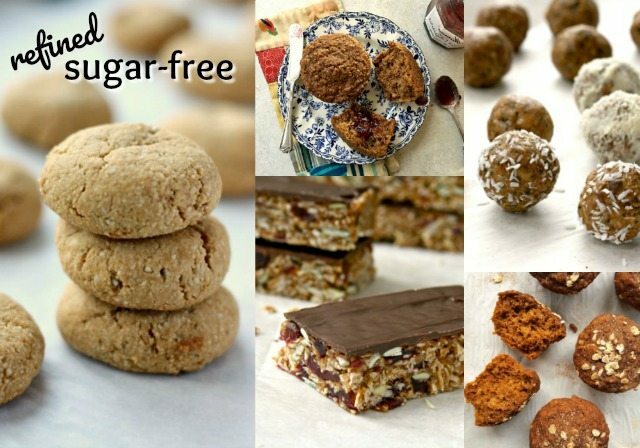 These 22 recipes for refined sugar free snacks include muffins, energy balls, sweet drinks, granola bars and cookies. Many of the recipes are gluten-free and/or vegan. 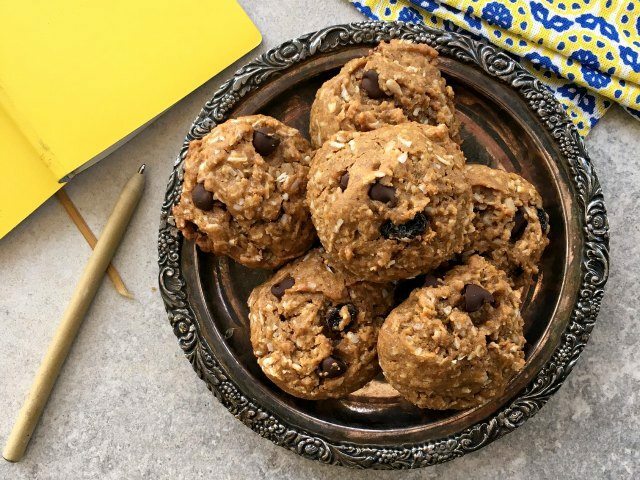 Oatmeal Peanut Butter Energy Bites: A wholesome, sweet treat filled with chia, flax, hemp and more. Sometimes you need a sweet treat that feels wholesome. After nibbling through chocolates and ice cream on Valentine’s Day, the craving for sweets doesn’t disappear and if anything, it gets a little stronger, especially with my kids. 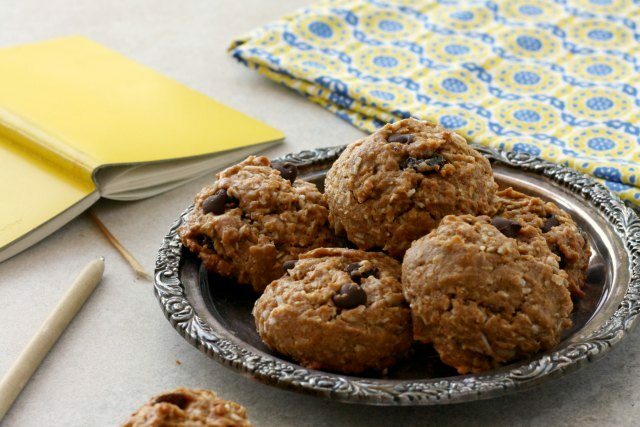 That’s why it’s good to have sweet snacks on hand that are healthy and satisfying, like these Oatmeal Peanut Butter Energy Bites. They hit the spot, are filling and full of good stuff. And I almost forgot – they’re gluten-free too. 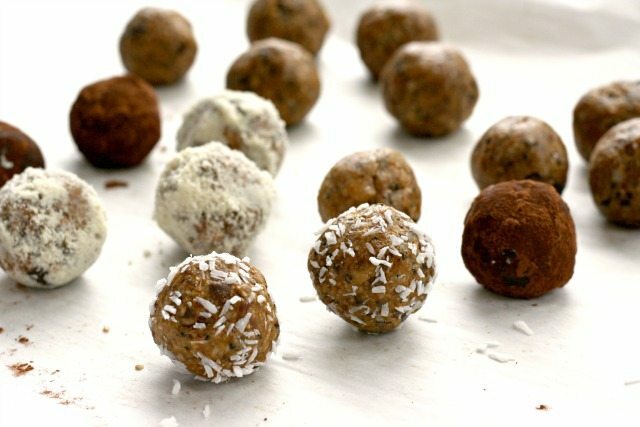 My daughter, who often makes a conscious effort to complain about healthy food, devoured each and every peanut butter energy bite that I rolled in coconut. I preferred the bites rolled in cocoa powder and almond flour. This recipe lends itself to endless variations. You could use different nut or seed butters (try almond or sunflower seed) and change up the quantities of chia, flax meal and hemp, all depending on what you have in the cupboard. Another option is to swap the honey for maple syrup if you’d like a brighter sweet flavour. 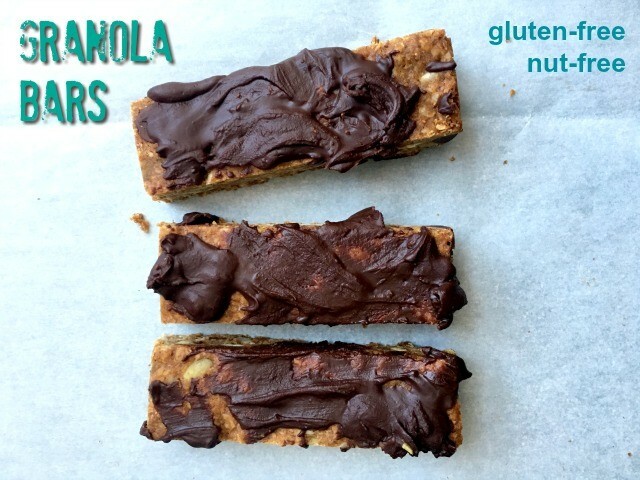 To make these school friendly, substitute sunflower seed butter for the peanut butter. Oatmeal Peanut Butter Energy Bites will last for a week in the fridge. This recipe is slightly adapted from the blog Family Bites. Combine all of the ingredients in a food processor, pulsing until they come together. Scrape into a bowl and refrigerate for 30 minutes. 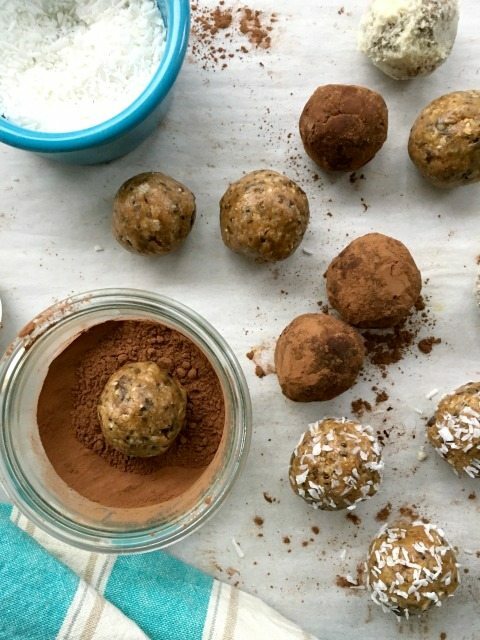 Using a tablespoon measure, scoop the mixture and shape it into balls. Roll in your preferred coating or leave plain. Place them on the prepared baking sheet and chill for 30 minutes before serving. *This nutritional analysis is incomplete. It does not include nutritional impact of hemp seeds or any coating, if used. If you’re in search of energy-boosting convenience food when you (or your kids) are on the run then healthy Energy Boost Cookies are for you. 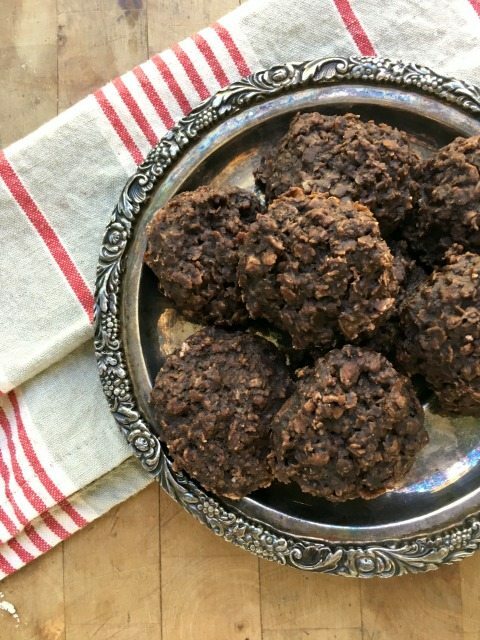 Made with wholesome ingredients and no refined sugar (unless you add chocolate chips) these cookies have a good amount of protein and fibre, are filling and taste good. They have a satisfying cookie texture and aren’t too sweet so are a good snack for any time of the day. The recipe is a slight adaptation of the recipe on the jar of Kraft All Natural Peanut Butter. In a large bowl beat together peanut butter, molasses, honey, melted butter and egg. Stir in remaining ingredients. 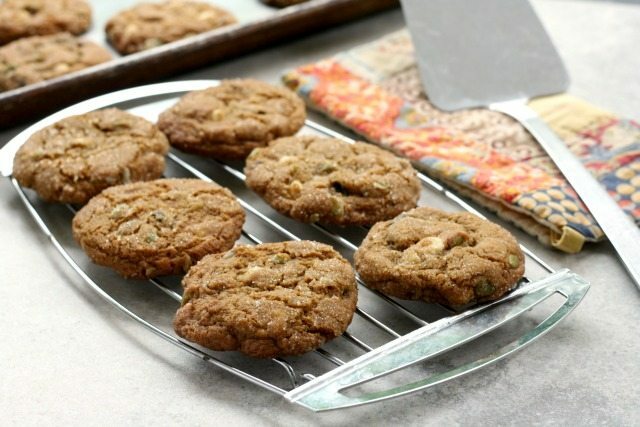 Drop by heaping tablespoonful onto prepared baking sheet. 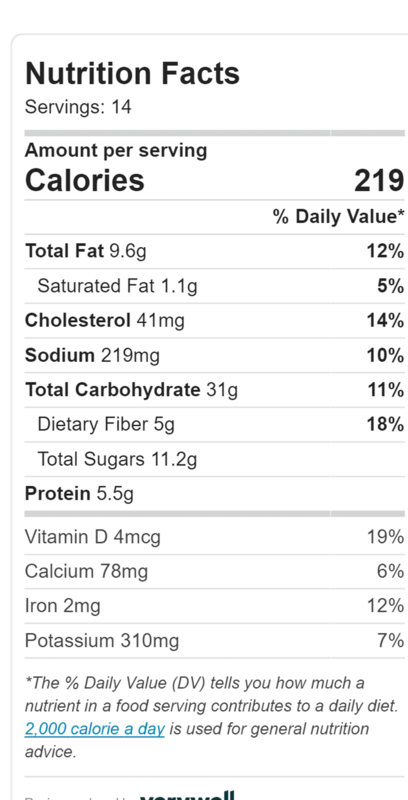 *Nutritional info is for cookies made with chocolate chips. It happens every spring, this ennui with school lunches. My kids are tired of the same old stuff and would rather pack nothing than pack the same food they have been eating all year. We have tried that — the letting them fend for themselves (they’re 13 & 15 so certainly capable.) The problem is that they arrive home afterschool like angry bears. Both of my kids are hearty breakfast eaters but for everyone’s sanity they do need to eat more than an apple through the day. 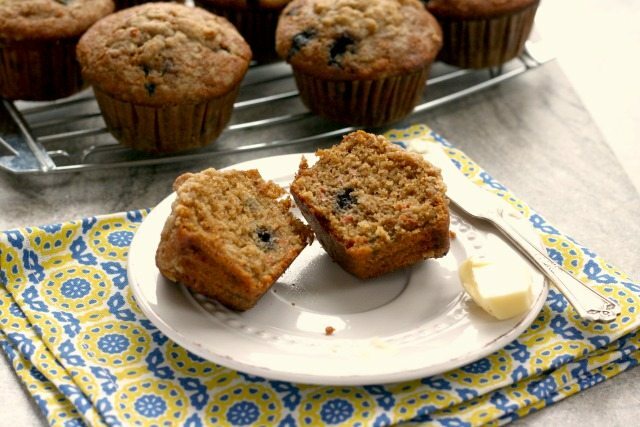 Imagine my delight when I discovered that they both love these Multi Grain Blueberry Carrot Muffins. The muffins are wholesome, stuffed with all sorts of good things like whole wheat flour, cornmeal, carrots and blueberries. Even better, this recipe makes a big batch (2 dozen) and they freeze well. The recipe is slightly adapted from The New York Times Food website, one of my favourite online recipe sources. In a separate bowl, whisk the buttermilk, oil, molasses, maple syrup and eggs. Pour the wet ingredients over the dry ingredients and gently mix until almost blended. Heat oven to 400 F. Grease a muffin pan or line with baking cups. Make the streusel: In a small bowl, mix ingredients together until blended and crumbly. Scoop or spoon batter into prepared pan, filling almost to the top. (Mound batter slightly in the center of each cup.) Sprinkle streusel overtop. Place muffin tin in oven and reduce heat to 375 F. Bake for 18 to 20 minutes, until the tops are springy to the touch. When cooked, cool on a rack and remove muffins from pan after 15 minutes or so. 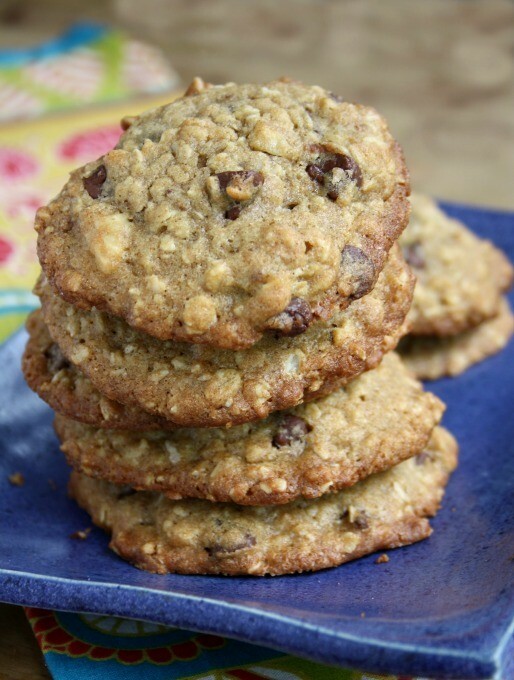 If there was a list of all-time family-friendly cookies this recipe for oatmeal chocolate chip cookies would be on it. A classic from the Fanny Farmer cookbook this recipe has more than stood the test of time. 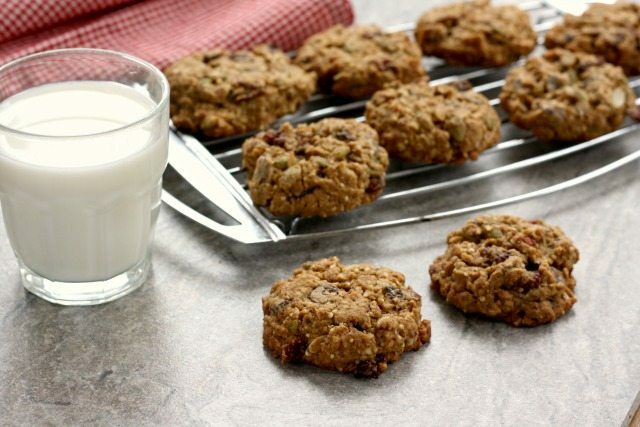 Oatmeal Chocolate Chip Cookies are kid-friendly and mom-friendly. Any cookie with chocolate chips is a hit in my house, but as a mom, I feel the need to stuff a little nourishment into my kids’ snack too. That’s where the rolled oats, flax and nuts or seeds come in. 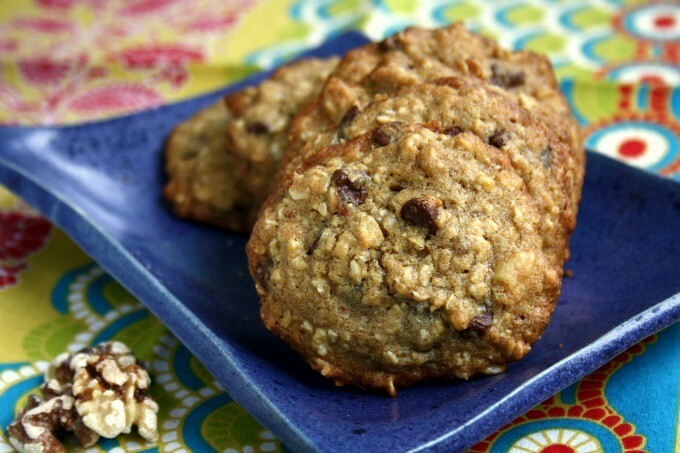 Oatmeal Chocolate Chip Cookies with a healthy twist are a good cookie compromise. 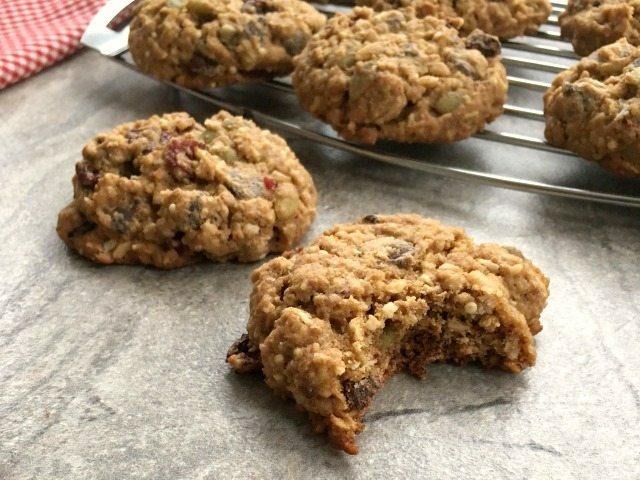 There’s nothing like an old fashioned oatmeal cookie to make you feel satisfied. 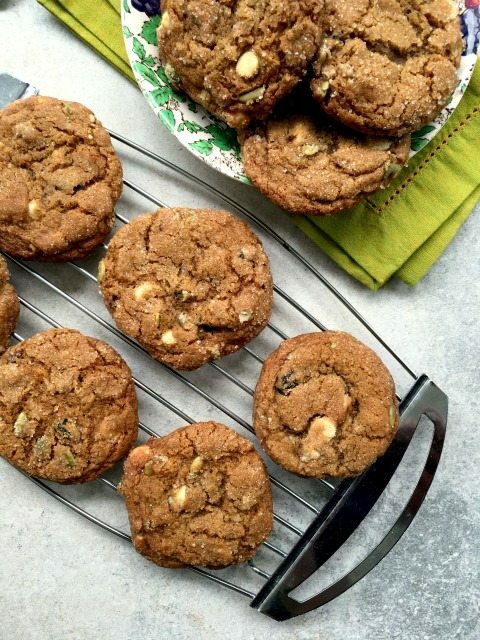 They’re filling in a way that other cookies aren’t and leave you feeling like you’ve had a bit of a healthy treat. To add fibre and flavour use stone ground whole white flour for these cookies, or substitute whole wheat flour for ¾ cup of the white flour. You can reduce the sugar to 2/3 of a cup. In a large bowl whisk the egg with the sugar then add the melted butter. Whisk in the molasses and milk. Stir in the flour mixture then the rolled oats, chocolate chips and walnuts. 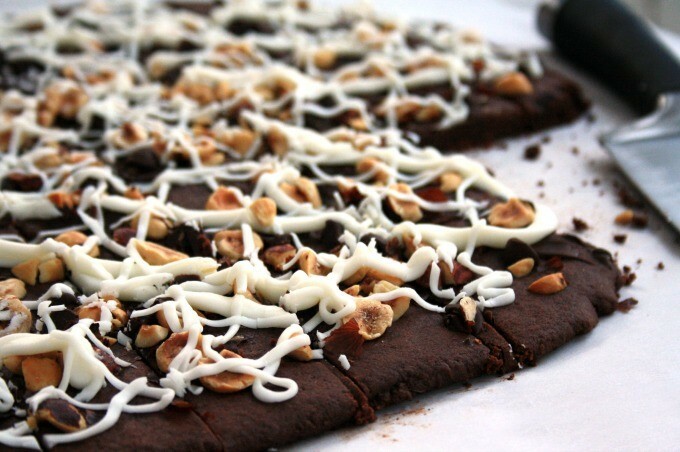 Mix until well combined and drop by heaping teaspoonful on a parchment lined baking sheet. Bake for 10-12 minutes until set. This is the first winter of my adult life that the size of the snowbanks matches those of my childhood memories. It’s magical, in a storybook illustration sort of way, although it isn’t 100% jolly. Snow forts, skiing, snowshoeing and sliding aside, an overly snowy winter is exhausting. There is a silver lining (buried under 315 cm of snow): blizzards and snowbanks make the cosy smell of homemade baking all the more enticing. To beat the cold and snow I have been cooking extra hearty food and sweet treats loaded with energy to fuel all of our shovelling. 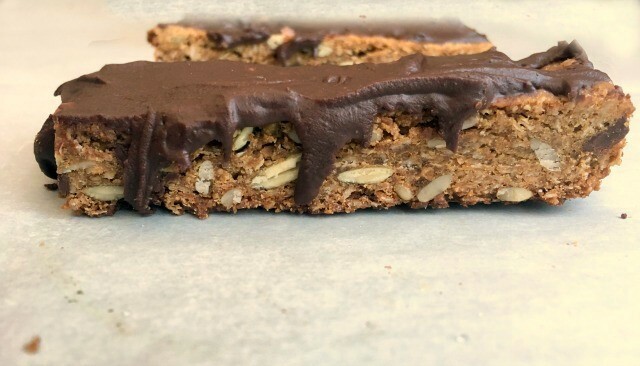 This recipe is a recent favourite — a wholesome and nutritious granola bar topped with a wafer-thin coat of chocolate to make them extra appealing for my kids. 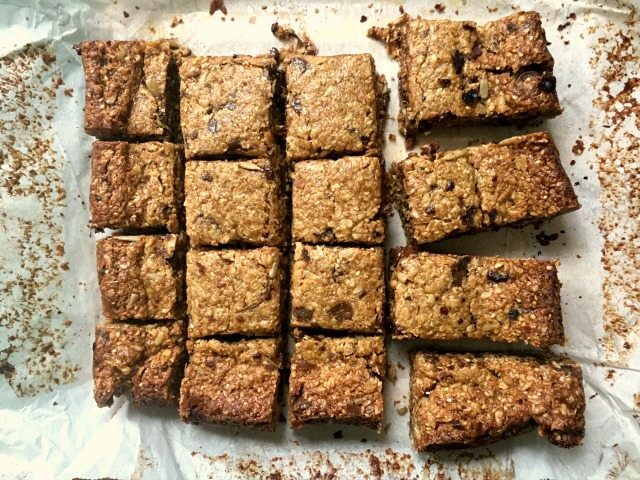 It’s a shame these Coconut Cranberry Granola Bars aren’t school friendly (because of the nut butter), but they are nutritious. With lots of fibre, protein, calcium and more, they make for a great afterschool snack and even better picnic food. And they’re gluten-free, if that’s important to you. 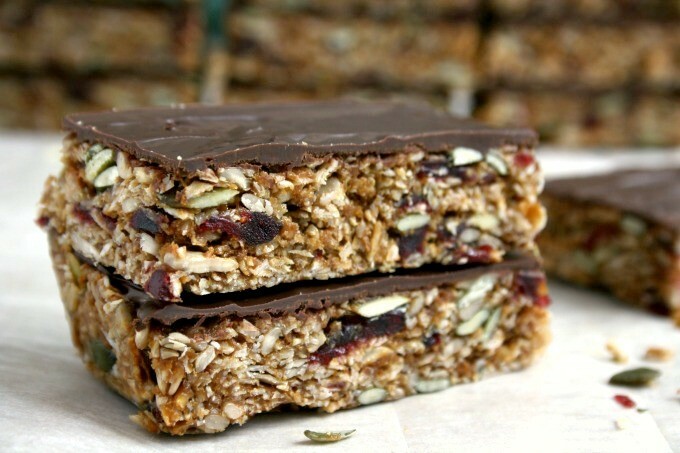 In a large bowl combine oats, coconut, sunflower seeds, pumpkin seeds, flax and dried cranberries. In a medium saucepan over medium low heat, combine the molasses and peanut butter (or almond butter). Bring just to a simmer and remove from heat. Stir in vanilla and coconut oil. Pour molasses mixture over oats-seed mixture and stir until well combined. Scrape mixture into prepared pan, spread it evenly and press into pan as firmly as possible. Melt chocolate and spread on top. Refrigerate until firm. Cut into 16 bars. Store in a cool place. *Choose oats labeled gluten free to avoid gluten cross contamination common in most rolled oats. 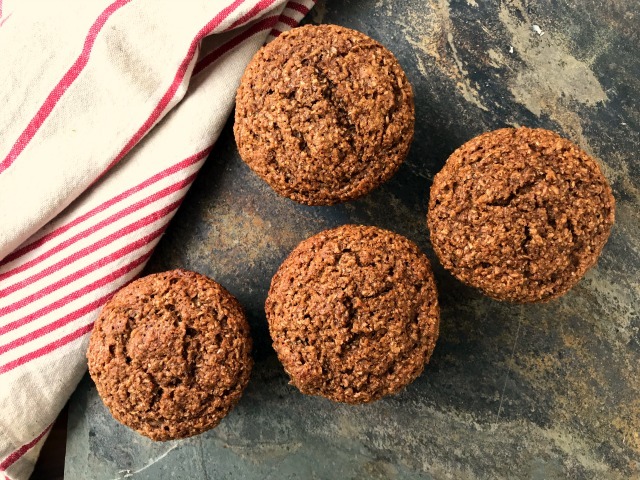 Healthy Gingerbread Muffins offer a comforting gingerbread treat without the richness of a cake or the extra sweet of a cookie. The de-clutter urge comes but once a year so I have to make hay while the sun shines. I de-clutter my cooking this time of year too. After all that rich food over Christmas I start to crave healthier, simpler recipes. 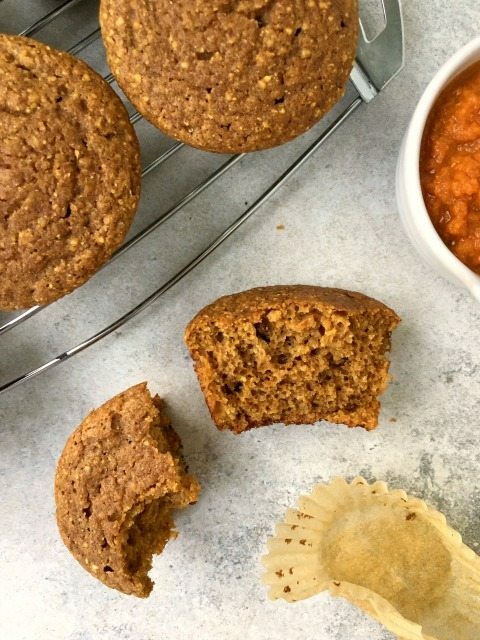 Healthy gingerbread muffins fit right into that category. 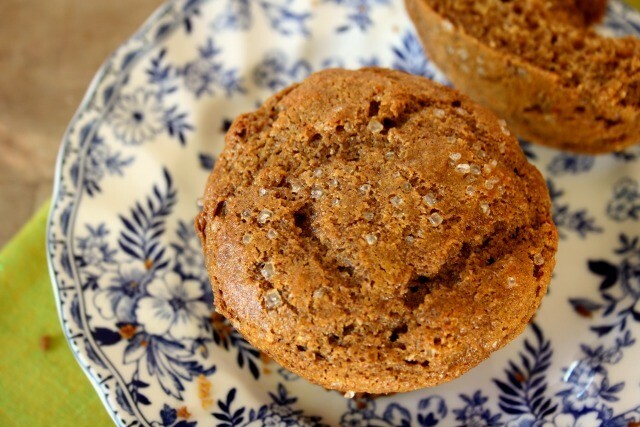 They are true muffins — not too sweet and beautifully spiced, they offer a comforting gingerbread treat without the richness of a cake or the extra sweet of a cookie. 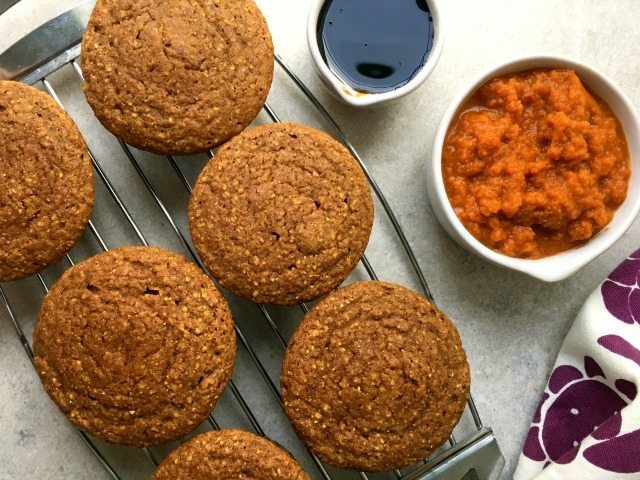 These muffins contain no refined sugar and instead are sweetened with flavourful fancy molasses and honey. 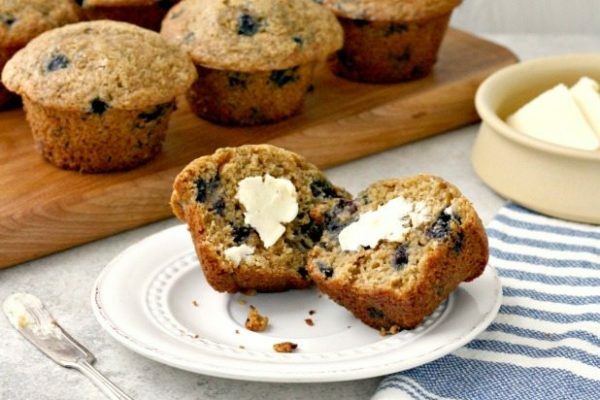 They also contain a good amount of whole grain flour which adds fiber and flavour. You can dress them up with a sprinkling of sugar or keep them plain. Either way they’re a tasty treat for a January day. Preheat the oven to 375 degrees. 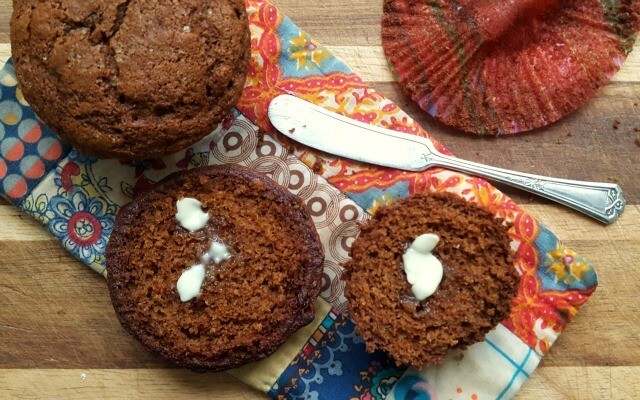 Grease a muffin tin or line with paper liners. In a medium bowl, whisk the oil, molasses and honey. Whisk in the egg then yogurt and milk. In another bowl combine the flours, baking soda, salt and spices. Add wet to dry ingredients and stir gently just until combined. (Batter will be lumpy). Spoon batter into muffin tins and sprinkle with coarse sugar (if using). Bake for 15 to 20 minutes. 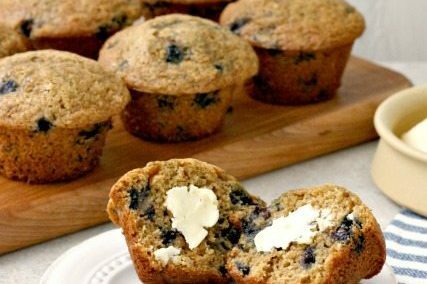 (Muffins baked in a dark pan will cook more quickly). Let cool in tins for about 10 minutes before removing to a cooling rack. This is the time of year when I would love to be a kid again. 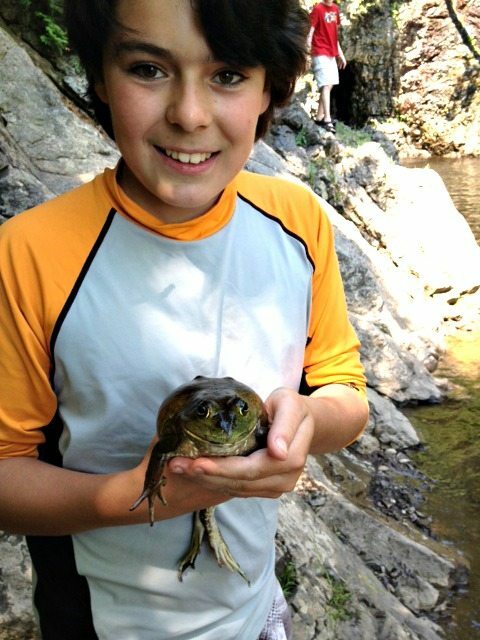 I can still remember the feeling of utter freedom on these final days of school before summer vacation began and the expanse of sunny summer that lay before us as we dillydallied on our walk home on the final day of school – backpacks over stuffed with note books, artwork and extra sneakers.  We’d have a picnic lunch on the deck and then head off to the beach to kick off summer. 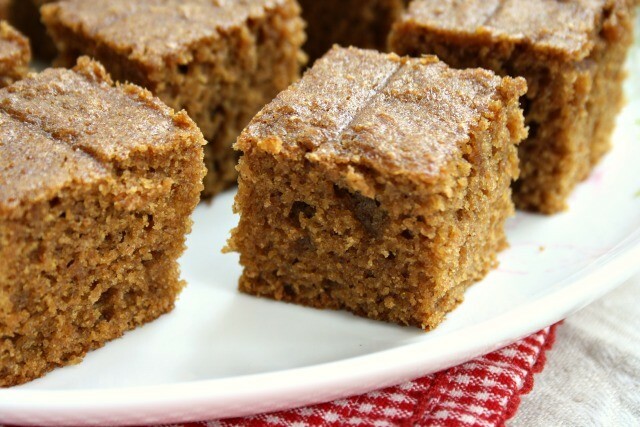 With more time spent at home, summer is a good time to have snack cake on hand. 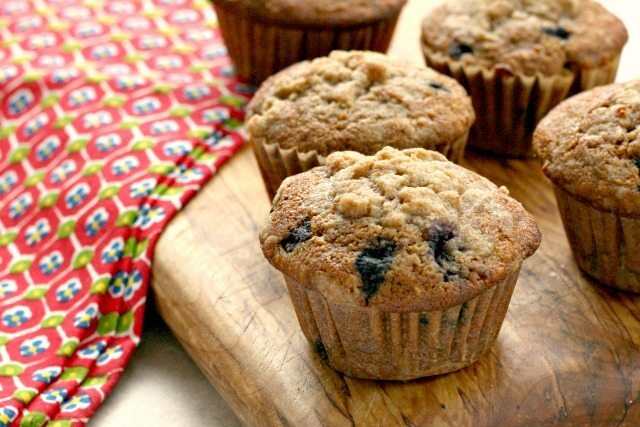 It’s a wholesome alternative to muffins and cookies and is quick to mix up. I have adapted it just slightly, adding vanilla and a bit of salt. The sugar can be reduce to 2/3 cup if you prefer your cake a little less sweet. 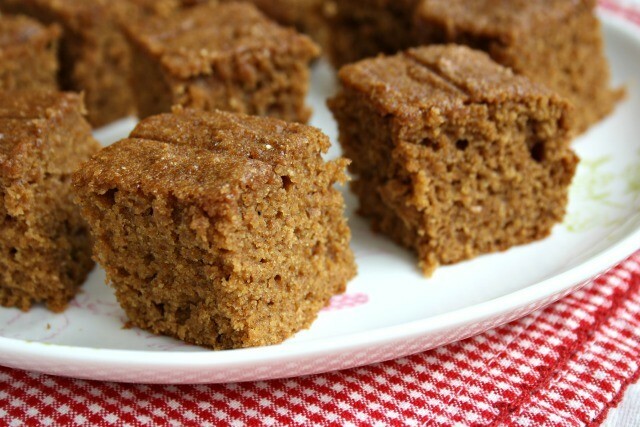 It’s a lovely, simple cake that is just right for snacking. In a large bowl beat the butter with the sugar until creamy. Beat in eggs, one at a time, then applesauce. Add molasses and vanilla and mix until well combined. Gradually add the dry ingredients and beat until well combined. Stir in raisins, if using. Spread in prepared pan and bake for 25-30 minutes until done.